For years, Venezuela has been in the headlines for its economic woes, including chronic shortages of food and medicine. Inflation may hit the one million per cent mark this year and 2.3 million people have fled the country, becoming economic refugees. The government of Nicolas Maduro has responded with a raft of policies – some of them very unorthodox – to try to deal with what is arguably the worst economic crisis of the decade. From a digital currency backed by oil, to urban farming projects that include breeding rabbits and chickens at home, the government in Caracas has not been lacking in creativity. But have these ideas helped Venezuelans? This year more than $20bn (£15bn) has been raised through cryptocurrency Initial Coin Offerings (ICO), according to UK-based portal Coinschedule. The point of an ICO is to raise funds to create a new digital asset, such as a cryptocurrency. Some of them are attractive because the high volatility in their exchange rates can produce great returns. Media captionHow do cryptocurrencies work? To the issuer, an ICO is a great way to raise funds. In February, Venezuela’s government said it raised $735m with the launch of the “petro” – claiming it was the world’s first virtual currency issued by a sovereign nation. If that number is true, the petro’s ICO would have been the fourth largest in the world in 2018. But it is hard to verify the government’s claims. In the cryptocurrency world, very few trust any official information released about the petro so far. “Reaction from the cryptocurrency community has been a mixture of dumbfoundedness and anger,” says Alex Tapscott from the Blockchain Research Institute. Information about how much oil Venezuela produces is sketchy. Recently, Mr Maduro announced that Venezuela’s revamped currency would be pegged to the petro, and that the cryptocurrency would be soon introduced in international trade. 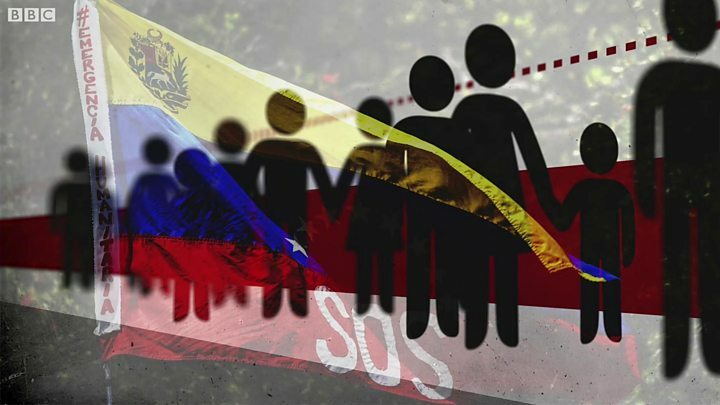 The BBC asked Venezuela’s Superintendence of Cryptoassets for more information, but received no reply. Mr Tapscott says the government’s attempt to launch its own cryptocurrency is eclipsing a more significant change in Venezuela’s economy: the rise of Bitcoin, the world’s most popular cryptocurrency. According to statistics website Coin Dance, the weekly trade of bitcoins in bolivars grew 58-fold since the beginning of this year, as people searched for new ways to store value amidst growing inflation. Oil is not the only abundant resource in Venezuela. The country claims to have the world’s fourth largest gold mine, although currently Venezuela is not even in the top ten list of gold producing nations. Earlier this month, the government launched its Savings in Gold programme, allowing Venezuelans to buy certificates that entitle them to 1.5g or 2.5g gold bars. As with the petro, economists say the whole system depends on the government’s credibility. It is Venezuela’s government, not international markets, that stipulates the price of gold in sovereign bolivars. So Venezuelans who take part in the programme are buying their government’s word. Tareck El Aissami, Venezuela’s minister of industry, says 12 million bolivares soberanos (about $200,000 according to one exchange rate) has been raised to help the government “reach fiscal balance and protect social investment”. 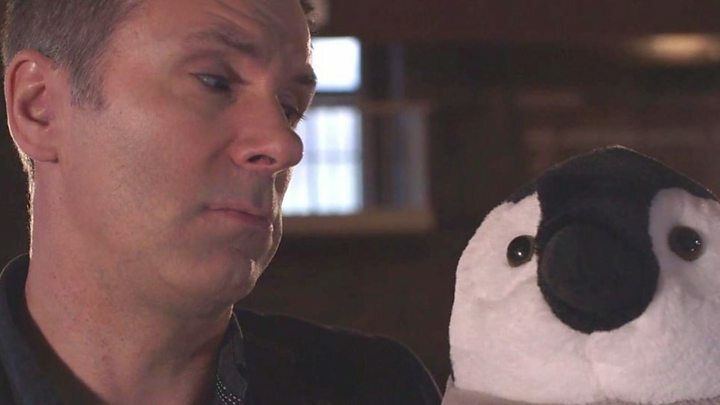 No-one from the government would talk to the BBC about this move. In March, Nicolas Maduro published a video on Twitter, in which he is seen feeding 152 chickens and collecting their eggs. “We can all produce (food). This is urban agriculture,” he said. Last year, the government announced a pilot programme to distribute rabbits to the population, extolling the virtues of its meat. But the plan became a joke even within Mr Maduro’s cabinet. Agriculture minister Freddy Bernal said people had become emotionally attached to the rabbits and were keeping them as pets. “We need a publicity campaign on radio, TV, in newspapers, in cartoons, everywhere, so that the people understand that rabbits aren’t pets but two and a half kilos of meat,” Mr Bernal said at the time. A more orthodox approach against the crisis was announced in August 2018. The government renamed the national currency, dropped five zeros from it, raised the minimum wage to 34 times its previous level, and promised to curb fuel subsidies. But analysts say these measures are merely “a small blow against the wind, when there is a tsunami”. 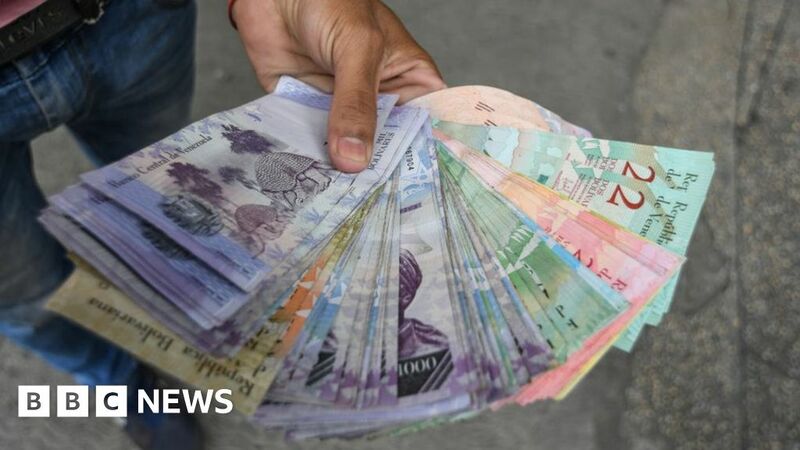 “All these measures are completely irrelevant, there is no economic plan in Venezuela,” says Siobhan Morden, a Latin America expert at financial services firm Nomura. Ms Morden says the petro cryptocurrency and the Savings in Gold programme are a distraction. Financial services group Nomura’s assessment of Venezuela is a dire one. It says oil production is declining by 50,000 barrels per day – and the country is dropping its output by almost a third every year. The fiscal deficit is about 20% of GDP and there is very little economic data coming out of Venezuela that can be trusted or fact-checked. The prolonged crisis has also wiped out much of Venezuela’s industrial sector. To begin to tackle Venezuela’s crisis, Ms Morden says the government would have to completely overhaul the economy, by dismantling price and exchange controls and stabilising the oil sector. For now, nothing resembling those measures seems to be on Mr Maduro’s agenda.